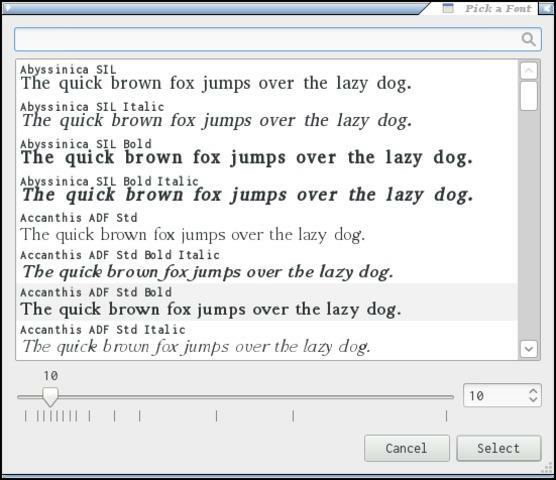 Here is the quick look at how the Font Selector looks like now. And its not just for the gnome-tweak-tool, its for all the places for font selection. I really loved it. So intuitive to use and amazingly good to look. This is what a good design and thinking can do. Kudos to Gnome team for coming up with this. Next Next post: Quickly install most of the things that you need on Fedora.